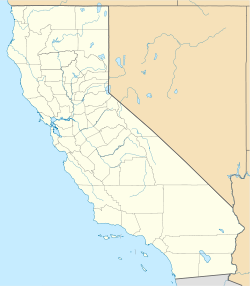 Hellhole Palms is an unincorporated community in San Diego County, California. Hellhole Palms is located in Hellhole Canyon 4 miles (6.4 km) west-southwest of Borrego Springs. Hellhole Palms is the site of a grove of California fan palms in Anza-Borrego Desert State Park. It is also the site of Maidenhair Falls, a popular hiking destination. ^ Durham, David L. (1998). California's Geographic Names: A Gazetteer of Historic and Modern Names of the State. Quill Driver Books. p. 1281. ISBN 1-884995-14-4.